2019 Toyota Corolla Vs Honda Civic – What’s the difference? With new 2019 car models in the sedan segment on the horizon, buyers tend to get confused amongst all the new models releasing and deciding which one to get home. Although, the new models don’t really come with many significant changes, but there are some subtle changes that seem to confuse buyers. 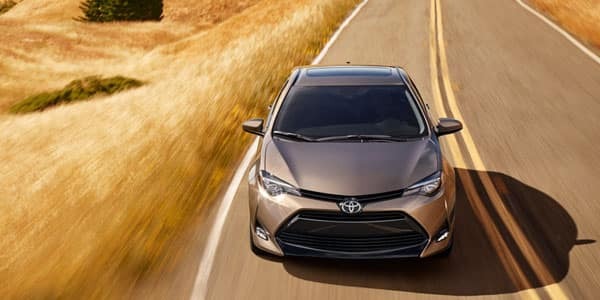 Thus, Arlington Toyota is here with the thorough comparison of the two most competitive cars in the segment; 2019 Toyota Corolla Vs Honda Civic. There are good features in both the cars, but which small car is best suited for you or appeal the busy Neptune Beach drivers. Both the cars have an almost same performance record, however, the choice depends on the consumer need. 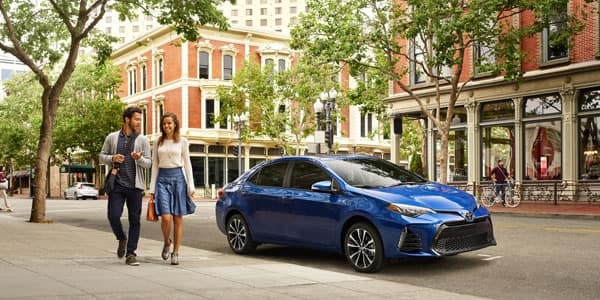 If you are looking for a compact car with value and safety features than go far the 2019 Toyota Corolla. But if you want a spacious car, with more head and legroom at the back, then Honda Civic has more room to stretch your legs. Although, both the cars have the same head and legroom in the front seats for drivers’ comfort. In terms of fuel capacity, 2019 Toyota Corolla is better than Honda Civic and you will have to make lesser stops at the Gas station with Toyota because its fuel tank volume is 13.2 gallons. Whilst, in terms of cost, 2019 Honda Civic is more expensive than Corolla. The 2019 Toyota Corolla has 1.8-liter, four-cylinder engine and its horsepower is 132, which is slightly lesser than Honda Civic but it has made up for it by offering average fuel economy. Its goes down to 7.8 liters every 100km in the city and 5.9liters every 100km on the highway. Also, there is more compression ratio in Toyota Corolla as compared to Honda Civic. The Corolla has a slight upper hand in the consistency and resale value departments as well. Cars manufactured by Toyota always has had an upper hand when it comes to safety because a few years back, it developed the Toyota Safety Sense system to give priority to the safety of its drivers. 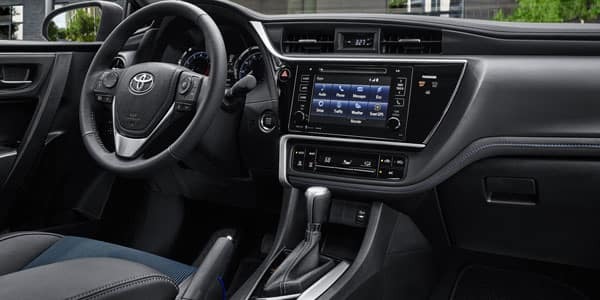 Thus, the Safety system in all 2019 Toyota Corolla models is built in and standard. Which is not the case with Honda Civic, it has standard safety options in Honda Civic Hatchback, while it’s optional in 2019 Honda Civic EX FWD. 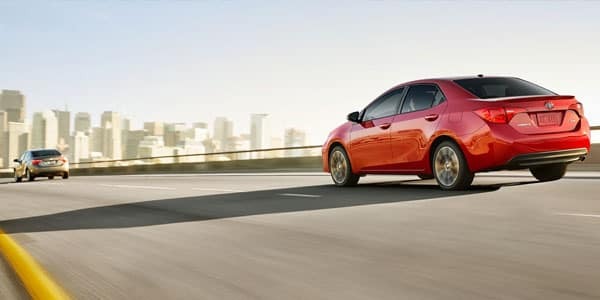 Additionally, 2019 Toyota Corolla has advanced safety features like lane departure warning, radar-based adaptive cruise control, smart stop technology, hill start assist control, and anti-lock brake system. Also, it has eight airbags, driver and front passenger whiplash-injury-lessening (WIL) seats, child-protector rear door locks, tire pressure monitor system (TPMS) and many other amazing safety options. However, Honda also has its own safety suite called Honda sensing which includes a collision mitigation braking system, road departure mitigation system, adaptive cruise control, lane-departure warnings and Traffic sign recognition. But still, the Toyota Corolla weighs higher than Honda Civic in terms of safety. Why Choose Arlington Toyota near Neptune Beach, FL? At Arlington Toyota, we understand the value for money and traveling needs of average to high income residents of Neptune Beach, FL and thus offer best car deals for Toyota vehicles. Other than that, we have got a very friendly & expert technician, service center, huge inventory and a finance department for your assistance. Arlington Toyota is a one stop shop for all your Toyota needs.